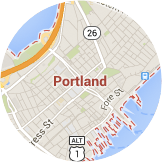 Portland, ME averages 27.5 degrees F in winter. You need a well-insulated garage door to keep the heat inside and the cold out. There's no better way to understand the quality of our products than to watch them being tested against others in a lab. Your door is only as good as its installation. That’s why GARAGA offers its customers a network of certified installers. From Saco, ME to Lewiston, ME to Gorham, ME to Newfield, ME you can benefit from over 23 years of combined experience with GARAGA products. What other customers from Portland area say about Garaga? I will be happy to recommend them because the experience was very nice from the receptionist on the phone, talking with the salesman, to the installation. Estimate, to choices, to treatment, to prompt delivery and installation they are first class operation! They are fantastic and worked hard to find the perfect doors for our needs! The technician gave us good advice and great work. Read more on International Door Corp. According to a cost-value study made by the magazine “Remodeling”, midrange projects to replace a garage door cost on average $1,404 in Portland. In fact, houses in Portland, ME recoup an average of 59.1% of their garage door cost when they are sold. As for upscale projects to replace garage doors, their average cost is $2,598 but in this case, you get a midrange 11.3% better return as you recoup 70.4% of your cost when you resell your home. Top 3 most popular door models in Portland, ME: Acadia 138, Stratton 138, Standard+. 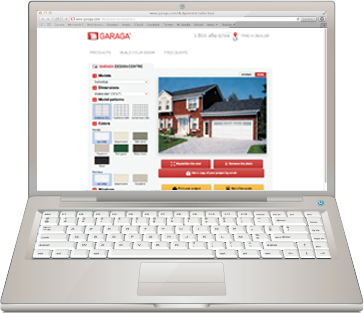 The specialists in GARAGA garage doors in the Portland, ME region are more than just garage door experts. They are also intimately acquainted with the climate and architecture of the area. This enables them to offer you sound advice, based on your personal tastes and needs, all the while retaining an appearance that fits in perfectly with your surroundings. When the time comes for you to purchase a residential garage door, you can count on our skilled personnel. They will provide you with invaluable guidance throughout the purchasing process, taking every important aspect into consideration. After ascertaining how you typically use your garage and where it's situated in relation to the rest of the house, they'll determine how much insulation, what type of door opener and which accessories you’ll need. After that, they'll help you choose the visual elements, including the model, color, texture, window style and decorative hardware. 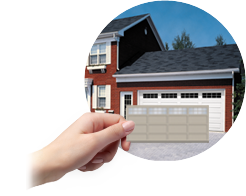 LiftMaster garage door openers are the leading brand. Garage door specialists throughout Portland have come to rely on them for a number of reasons. LiftMaster, from The Chamberlain Group company, has a long history in the industry. Their vast experience and expertise are reflected in the quality and reliability of their products. The incredible durability of their garage door openers has been proven to garage door professionals on a regular basis. LiftMaster door openers are not only easy to use, but are also compatible with all different models of garage doors and versatile enough to respond to a variety of individual needs. For example, if you have a bedroom located above your garage, you'll want to choose a model that operates quietly. And when it comes to safety, the brand offers an extensive selection of accessories for ensuring that your garage door operates securely. By entrusting the installation of your garage door to our qualified technicians, you will ensure that your garage door system works efficiency and safely, and by scheduling regular inspections, you can make sure that it continues functioning at an optimum level. 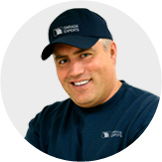 The professionals in Portland, ME will perform the installation, repair and maintenance of your residential or commercial garage door with the utmost care. Sign up for an annual maintenance program to avoid unnecessary emergencies and expenses. Our team will perform inspections and preventive maintenance, keeping your garage door system in perfect working order all year long! Continue on I‑295 N to Washington Ave.
Continue on Alfred A Plourde Pkwy.